How about playing Survival Game in a middle of the city with a camouflage wear and BB bullet guns? 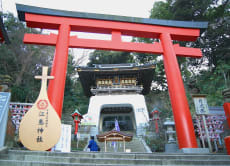 Explore the historic city of Kamakura and the beautiful coast along Shonan area with a bilingual guide. This restaurant is obviously more for touristic people. 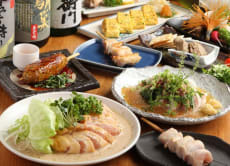 When you entered in this restaurant, we immediately felt relax and enjoyed this atmosphere as we went back to samurai era. We had a Sukiyaki which is a japanese fondue, similar to shabby-shabu with beef and vegatebales. We also had the opportunity to hold a shuriken and a samurai sword. 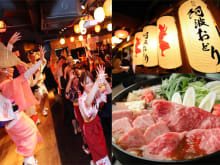 Its not the best restaurant I have been in japan, but the service and food was really good so if you are not sure where to eat you can go there and have a good time. you know its good when the locals visit this place as well. excellent service ! Both Takahiro (our guide) and Kirimaru (the greatest living Sumo) were excellent - friendly and informative. Despite being approached constantly for photos while on the street, our Sumo managed to remain a friendly, super sized rock star. 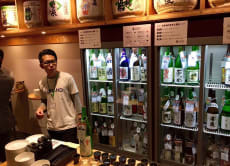 Takahiro was excellent as a translator and provided us with superb information throughout the tour. It was excellent and I can't recommend it enough. For my son (age 9) and I, this was our first time vacationing in Japan. We could not stop smiling at both events. Everyone at Awa Odori was very warm and welcoming. 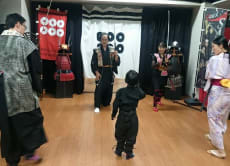 Thank you, also, for selecting my son as best awa odori dancer. The Robot Restaurant show was over the top fun! Plus, the Dreamgirl song is one of our family favorites. These events made my son’s first international trip a very memorable one. We still talk about it to this day. 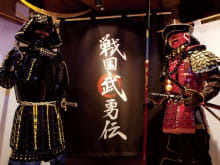 The Samurai themes restaurant alias Sengoku Izakaya is a good place for eat. Staff gently, good and fresh food, but a bit expensive.